There are currently 162 people online. TPU received some pictures of the BitFenix Prodigy, a new Mini-ITX case that promises plenty of room for a long graphics card and large coolers. Pricing and availability is unknown. 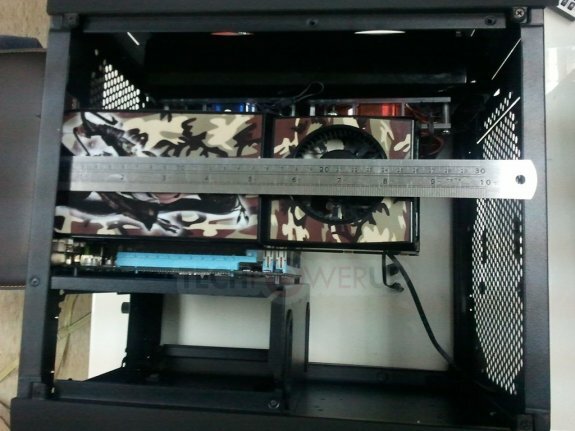 These pictures show that despite being designed for compact motherboard form-factors such as the mini-ITX, the Prodigy has plenty of room for a long graphics card (even the likes of Radeon HD 6990 will fit), and water-cooling hardware such as a 2x 120 mm radiator, pump, tubing, to support water-cooling of both the CPU and graphics card installed. 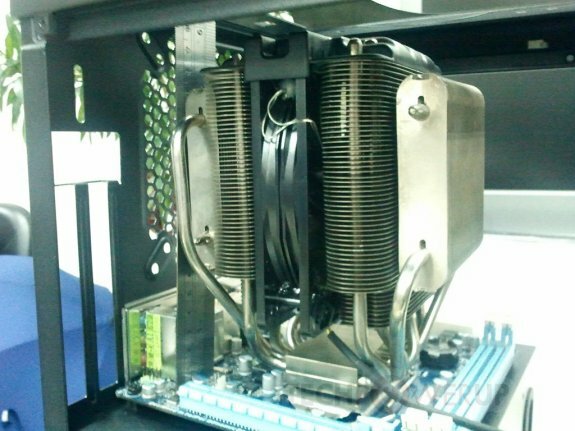 Regardless, there's still room for large-sized tower-type CPU air cooler and dual-slot graphics card cooler, as the pictures below reveal.